Looking for a touch of class, to add value to your home or business? As a Landscape Contractor, Design & Renovation is what we do best, creating an ideal area for your home or commercial property. A sensational landscape can speak volumes about your property, and we devote considerable time to getting the design right, ensuring your garden is a focal point for all the right reasons. A well-designed landscape or outdoor living area should complement your house or building. We have the experience in everything from cleverly designed yards and classy garden beds, to large, cleanly designed low maintenance corporate frontages, and we enjoy integrating our comprehensive horticultural knowledge with our passion and imagination. An outdoor area can be a great place to relax and unwind, a place of solace or excitement and a key ingredient of this is the environment you create. So creating the right outdoor area with the help of a Landscaping Contractor can add to the well-being of those that use the space, and potentially save you money in the long run. A dedicated and experienced Professional Landscaping Contractor we can design and renovate your property, working with your specific interests and hobbies, to create an outdoor activities area for you and your family. With our creative flair and imagination, we’ll come up with breathtaking designs for the yard area of your home, as well as amazing designs for the business or commercial space, which strongly matches the business activities and way of life. Being a Professional Landscape Contractor we have a thorough understanding and knowledge of the Perth area, climate and its other characteristics, helping us to stand out with our Landscaping Services. Our team of highly skilled landscapers uses state of the art technology and unrivalled creativity to maximise form, function, and beauty through practical designs which all consider major existing infrastructure, required approvals, and building standards. The purpose of the outdoor area (entertainment, gardening, relaxing, swimming, etc.). Climate and environment are vital considerations in material selection especially to ensure an evergreen garden and lawn. It’s your home and should showcase your individual style. Not only homes but organisations and commercial buildings can benefit so much from our landscape contractor services. Whether all you require is paving repair or a complete outdoor space restyling. We are skilled in mixing up our boundless imagination, paired with a comprehensive horticultural knowledge to come up with refreshing ideas that smoothly accommodates the passions and activities of you and your family’s residential space or commercial property. Paving involves placing designed flat stones in a pattern that gives that yard of your home or business a clean and classy look. Paving can be brick, limestone, travertine or any other specialist paving type and it has many advantages added to the lovely sense of luxury it offers to entertainment or outside living areas. Safe, versatile and could last over 50 years. If you’re looking to add some Paving, then get in touch as we provide a large range of choice when it comes to pavers. We have a wide range of colours, styles, shapes, and sizes to choose from depending on the suitable design and budget. Important factors when choosing your paving. Brick Paving; In addition to having a very long lifespan (50+ years), brick is waterproof and requires almost no maintenance cost. Allows for colour, shape and size creativity to complement other features of your outdoor space. Travertine; A natural durable and luxurious Italian rock. Looks superbly natural and serves great as underfoot. Granite; These pavers are cut from stone, present many different colours and appear very natural. Encompasses beauty, durability, stain and scratch resistance. Limestone; The consistency in the colour and shape of this durable natural paving choice makes it ideal when looking to complement outdoor spaces. And it can be cut into suitable shapes and sizes. The always cool nature of limestone makes it perfect for the hot Perth area. Exposed Aggregate; Natural looking man-made paving product with quality consistency and seamless blending into outdoor environments. The many different finishes and colour designs make it easy to find one that works perfectly for your home. Pool Paving; The safety of the surface surrounding your pool when wet and its waterproof features are the two key aspects of that area. The pool paving service your hire must tick both boxes and still present a variety of colours and shapes that fit your pool area. Everybody can testify to the refreshing feeling a decorative and functional lawn adds to the look and feel of outdoor spaces. WA Luxury Landscaping should be at the top of your list when considering to give your yard a great lawn or turf touch that suits your specific needs in the wide Perth area. Keeping your lawn evergreen is very important in preserving its beauty. Synthetic grass; Natural looking, low maintenance and long lasting turf alternative. The installation of artificial synthetic grass serves perfectly in areas which do not permit the growth of turf. Turf lawns; Added to looking amazing, a fresh green turf lawn patch feels cool underfoot and serves as a natural filter to air pollutants. A wide range of varieties exists, which serve different purposes. We also work with you to complete the required infrastructure like planning approvals and design of irrigation for your garden. Feature walls are walls with different and usually more interesting designs. We can be made from limestone, brick, timber, etc. and often span from the simplest to the most complex possible designs. They are useful and offer an amazing standard or a custom look for your backyard, framing whilst highlighting key features. Feature walls give theme anchors to garden designs and there is a wide variety to pick from with us as your landscape contractor. Limestone Walls; Warm, natural and durable. Shape and colour consistency plus neutral colour tone makes it easy to complement a wide range of outdoor spaces. Block or Brick Walls; Durable, weatherproof and low maintenance cost option for your feature wall. But still presents a variety of colours and textures and a natural variation which adds a peculiar look to your yard or garden frame. Modular Walls; Ideal for noise reduction and are quick to install. We always present consistent quality and are available in many different shapes and colours to suit any space. Timber Walls; The natural feature of your garden space is effortlessly reserved with timber feature walls. Its classic and will fit modern and old-fashioned gardens. Also known as Capping, Coping or Bull Nosing, Pool Headers are amongst the most attractive finishing features for your pool and we offer a finish and sense of luxury unmatched by fibreglass or concrete pool edgings. The hot Perth and Australian climate for at least some time of the year suggests that hanging out around pools may just be the perfect recreational activity for so many people either privately or with friends and family. Size; Make sure you match the size of your pool headers with the size and design of pool area. Always consider safety and your budgetary requirements when making this choice. Era; You will definitely want your pool header choice to suit the age theme and styling of your home. Design; You may have a picture of a specific design in mind which works together with your property, the paving and fencing. With excellent communication, a fantastic design can be created which meets the strict standards in Australia. Make your home or business environment beautiful and most comfortable for you while expressing personal interests, class and healthy living with top quality landscaping services. 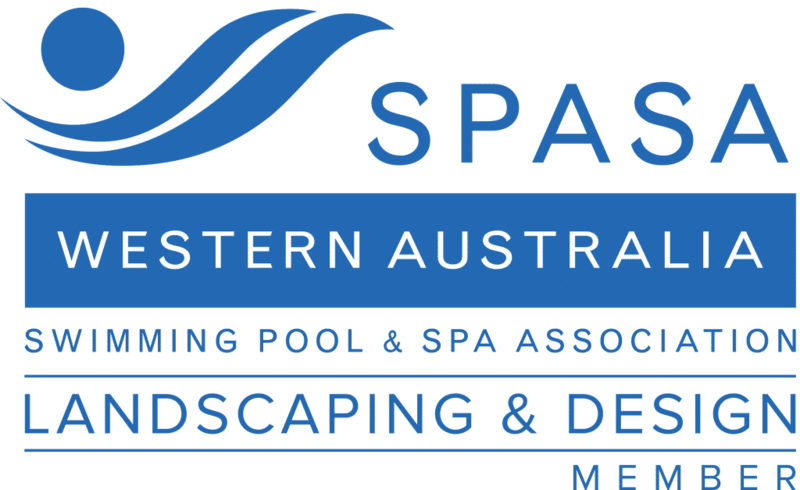 WA Luxury Landscaping offer Landscaping Services located in Perth, Western Australia. If you’re looking for a Professional Landscaper, have a look at our Landscaping Services and contact Killian Murray for your Free Measure and Quote.